Let me start this off by letting you all know this is going to be a gushing fan boy piece, and while not strictly wargaming it, in the venn diagram of geekery has some cross over – look at my I28 Campaign as an example. I love the Alien franchise and I love Dan Abnett. So when I found that Mr Abnett was contributing his writing skills to an Aliens game I squee’d in my pants a little. 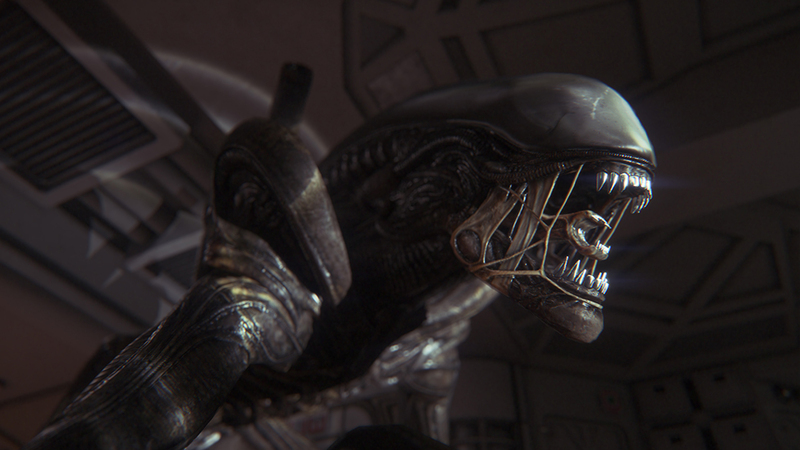 Now Alien has had some god-awful games made for it, but this seems to promise something more akin to Alien (the first film), in that it is a survival horror game rather than an Aliens run & gun – “We got tactical smart missiles, phase-plasma pulse rifles, RPGs, we got sonic electronic ball breakers! We got nukes, we got knives, sharp sticks.” – type game. Early days at this stage, but it’ll be out for all the major consoles in late 2014. I’m pretty stoked, I don’t get to game as much as I used to, but I will be sure to make some time for this! Next story The Black Library – have any book you want, as long as it comes in Marine….